Situated at the foot of the Langeberg Mountains, off the R60 between Ashton and Swellendam, Bonfrutti offers a wholesome taste of farm life in a farmhouse and 3 comfortable self-catering cottages. This is truly the ideal place to unwind and enjoy the crisp clean air.The farm offers more than enough space to enjoy long hikes or easy walks through the orchards. Bring your mountain bikes, swim in the big farm dam or try your luck at fishing. Oppiwerf consists of two of the oldest farm houses in the area, and is an ideal spot for a group or family gathering, with a sleeping capacity of 18 guests. Both houses have lots of character, with original yellow wood doors and beams and bamboo ceilings that keep the heat out in summer and the cold out in winter. The houses are located right next to each other, sharing a lawn and view of the dam from the voorstoep. The two houses are let as a combined unit. Wood is available at an additional cost. Perskepit Cottage sleeps 5 guests in two bedrooms with its original wooden floors. 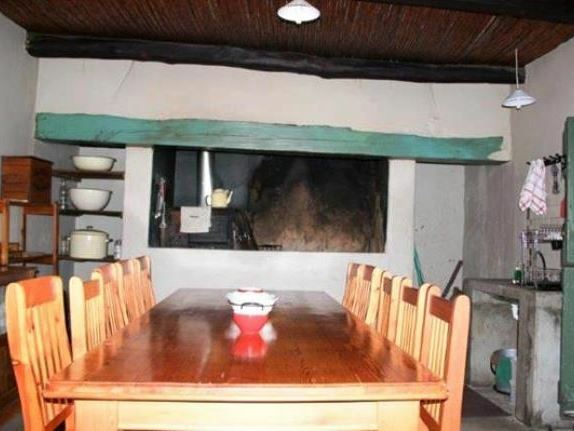 There is an inside fireplace and an outside braai area for entertainment. Next to Perskepit is Perskepit Waenhuis a flatlet with 1 bedroom en-suite and 2 single beds in the living area. Druiwetros and Olyftak Cottages are next to each other. Druiwetros has one bedroom with a queen-size bed en-suite with shower and two single beds in the living area suitable for kids. These two cottages are ideal for two couples or families spending a weekend together. Olyftak has 1 bedroom with queen bed en-suite with shower, 2nd bedroom with 2 single beds and 2nd bathroom with shower. There are two single beds in the living area suitable for kids. 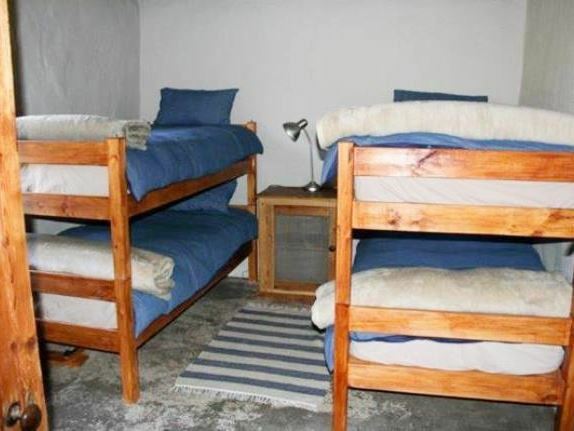 Each cottage has a fireplace, a fully equipped kitchenette, an outside braai area and a splashpool. "Ideal spot for teambuild. Well appointed with all the comforts one needs." "Lovely accommodation with a view to die for"
"Gorgeous little cottage, clean and comfortable. Braai area made for evenings with friends. Very happy with everything, and Elmarie is a charming and lovely host. The only thing I can mention is that it would be great if there was coffee, tea and sugar available in the cottage. Other than that - great stay!" "Dit was &apos;n wonderlike voorreg om 7 dae op Bonfrutti te kuier!Riaan en Elmarie is gashere soos min... Die ontbyt by die padstal voortreflik en die ietems wat hulle te koop aanbied, uitgesoek met &apos;n kopers-oog. Jy kan nie uit loop sonder &apos;n groot sak gevul met hartsgoed nie.Druiwetros is toegerus met alles wat jy benodig. Die "plaasbad" was &apos;n treffer in die hitte wat ons daar beleef het. Heerlik op die dam geroei en vols gekyk.ONS GAAN BESLIS WEER! Dankie Riaan en Elmarie." "My husband and I spent two nights in Olyftak Cottage. It was icy cold for those two days, but the cottage is very nicely appointed, with a lovely place to make a nice cozy fire, so the cold did not bother us at all. The cottage is very well appointed and has everything that one needs for your stay away from home. Thank you Elmarie and Riaan."